MEN'S BREAKFAST: Meet the together to share life experiences, study the Bible and share perspectives in a relaxed and informal manner. 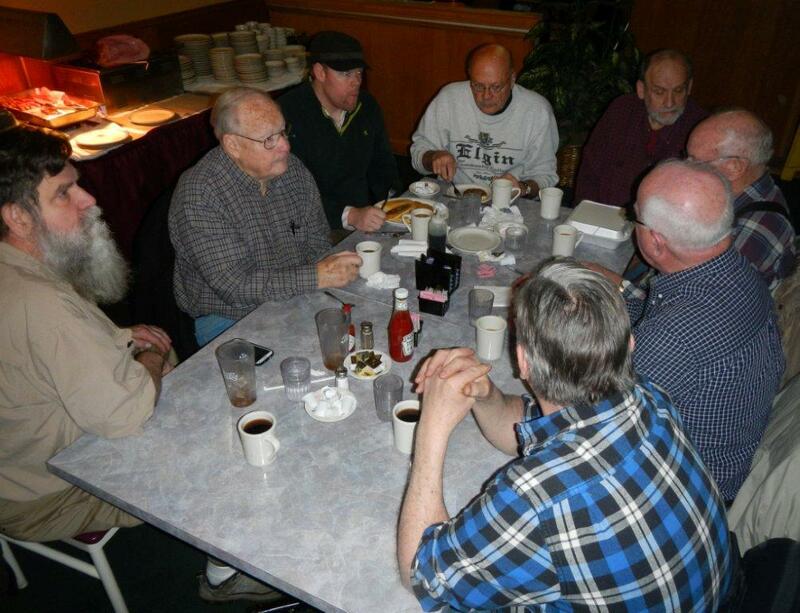 We meet every 1st Saturday at 8 am at Rose Garden Restaurant at Hampshire for fellowship. Also, we meet every 3rd Saturday at 8 am at church fellowship hall. We served $5 All-you-can-eat pancakes before bible study. MEN'S RETREAT: Every year the first weekend in March our men go to Covenant Point Bible Camp for at least 3 days (Friday to Sunday). If you have more time, some of them even take off on Wednesday.